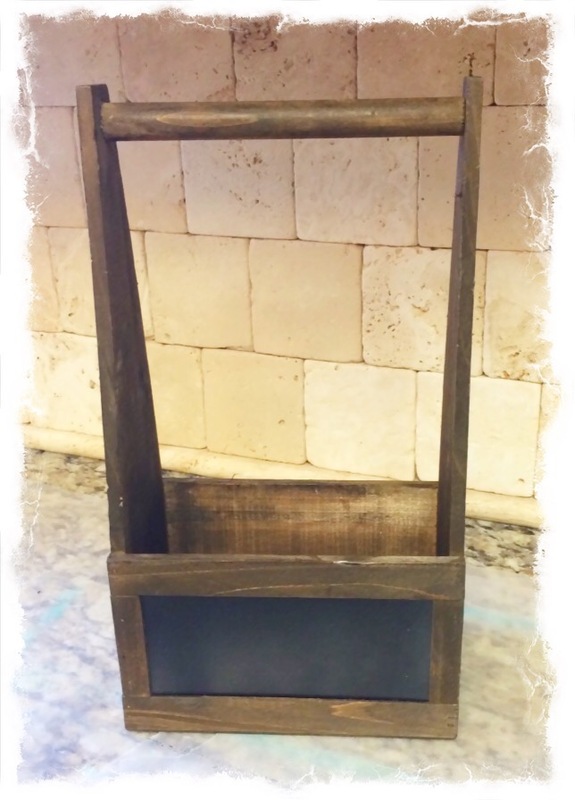 I found this sturdy little wood chalkboard crate box at Goodwill for just a few dollars and couldn’t pass it up. All it needed was a little paint. 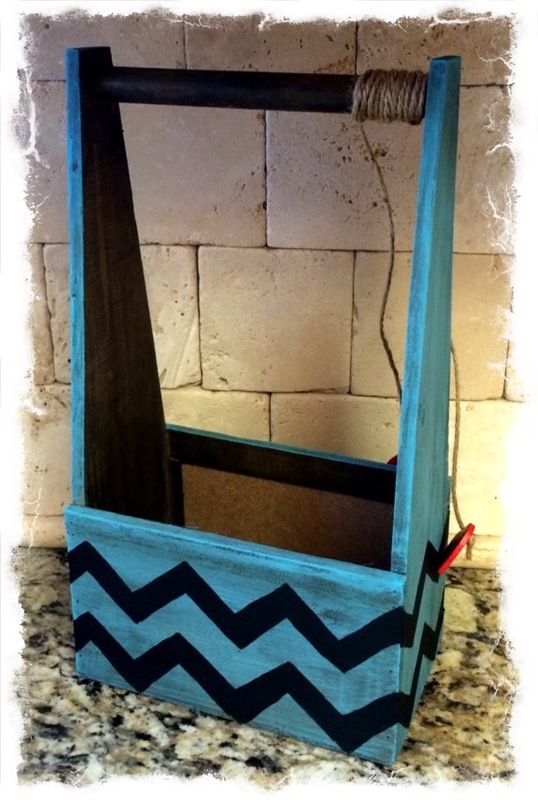 So I snatched it up took it home and got started on the little wooden chalkboard crate box makeover. 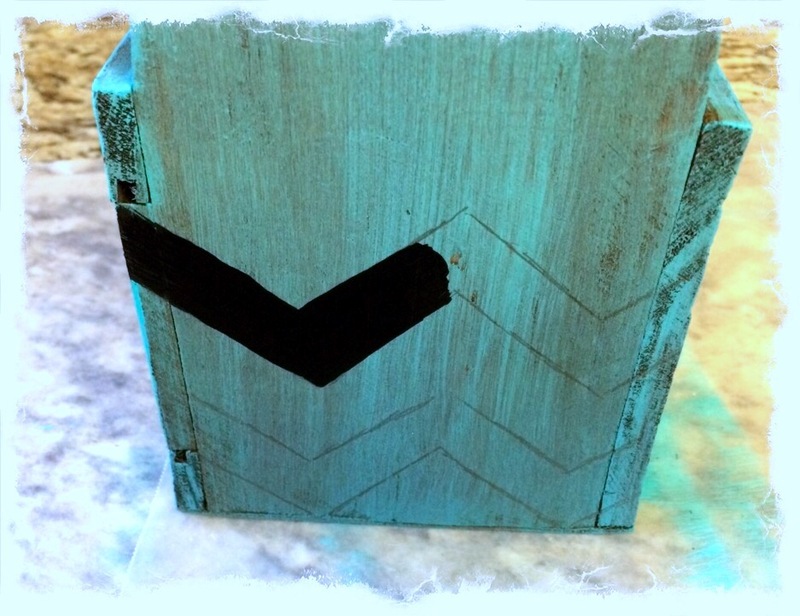 After giving the little box a good cleaning, I taped off the chalkboard so I wouldn’t get paint on the chalkboard part of the wooden crate box. Then using the dry brushing technique I added some turquoise colored acrylic paint on the outside part of the box. Once the outside of the wooden box was dry. 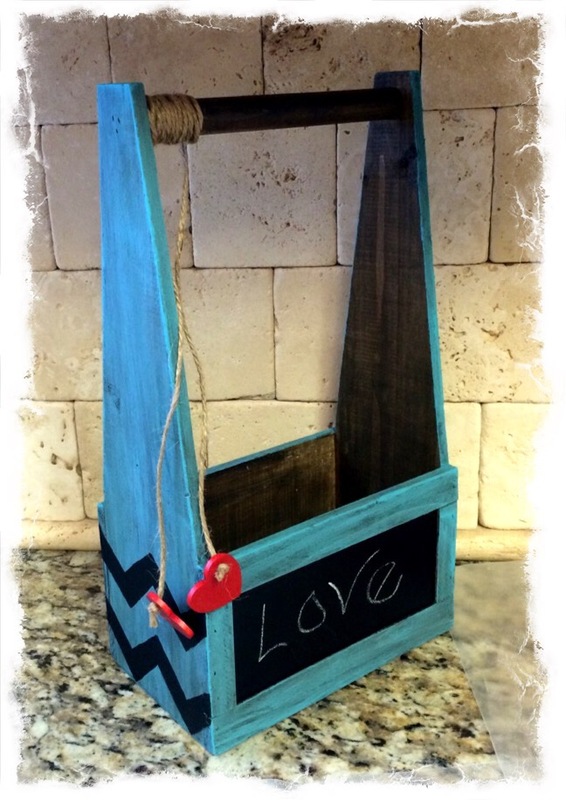 How to give a thrift store box a makeover. 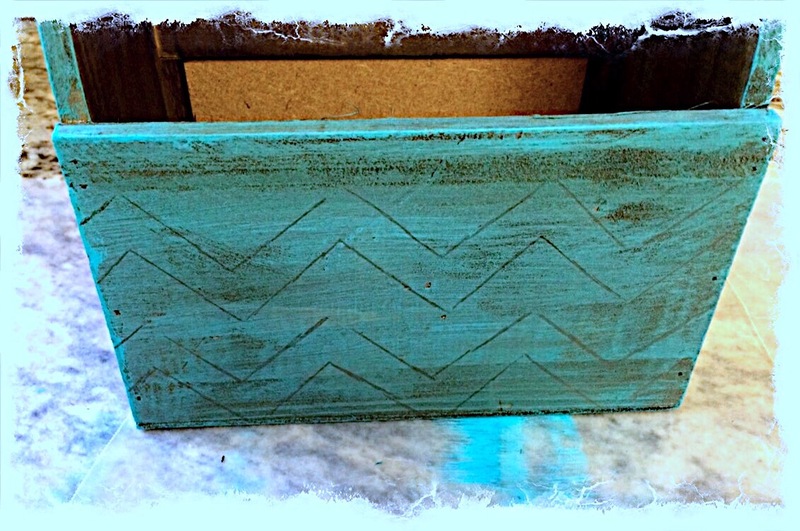 It was time to draw a Chevron pattern on the sides of the wooden crate box. Then using black acrylic paint I filled in the two Chevron stripes. 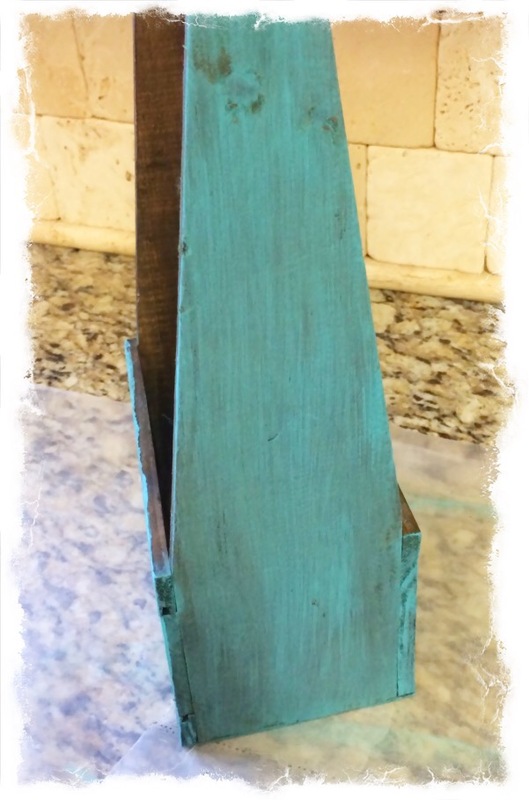 I am loving how the little wooden box turned out! Pretty cute, Huh! Thinking that it need a little something else, I then added a little jute around the handle with a couple of wood hearts dangling off the ends. Then off to the antique/craft mall it went, and it sold quickly. 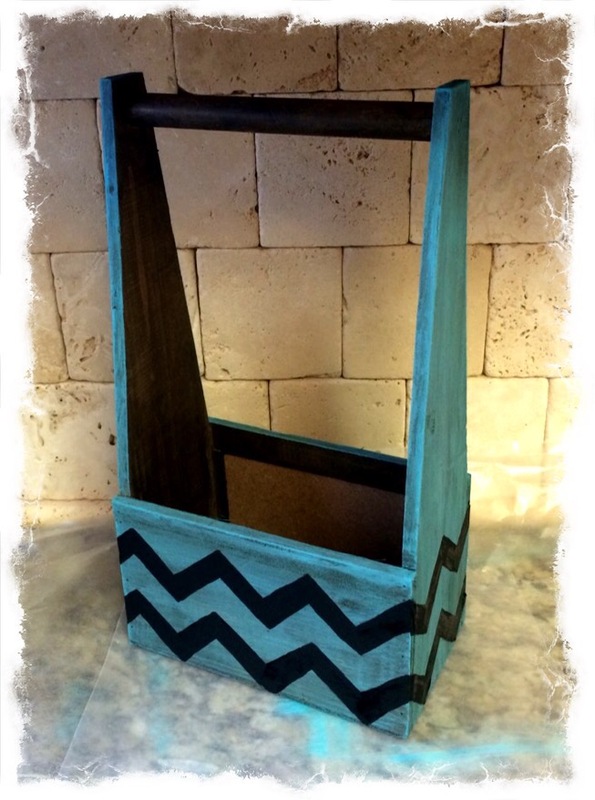 Do you like how the wooden chalkboard crate box makeover with the Chevron stripes turned out? Or do you think it would look better without? I love it, really beautiful, great idea ! I love the chevron, I am actually a huge love of the pattern. And with the turquoise? Love it! You find the coolest things at Goodwill, I must get to our shops too late, either that or we just don’t have things cool in Indiana shops! LOL Jealous! This is such a pretty color Linda. And I love the pattern you added on there. Did you sell it? Thank you Mary! It was a fun project to work on. Yes I sold it pretty quick. Love how this turned out, Linda!! 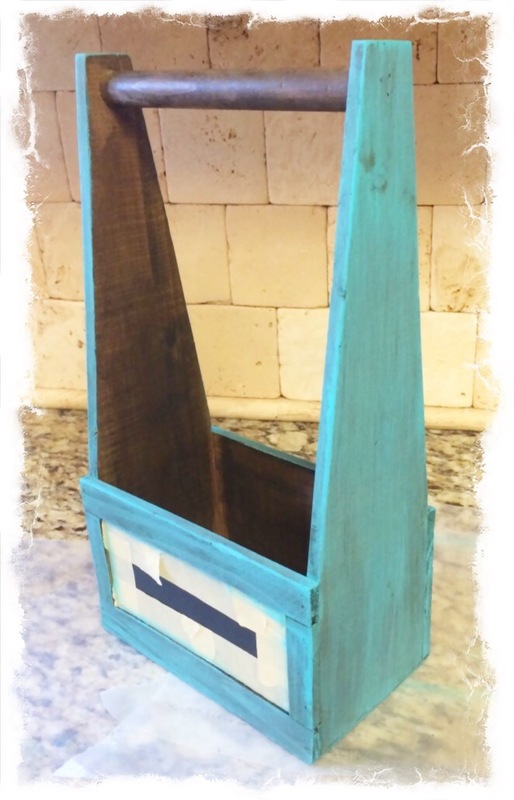 The turquoise with the black chevron stripes looks awesome!! Thank you Sam! That’s one of my favorite colors, and when I discovered how fun chevron patterns could be. Congrats for selling it already! That was a really cute box, and loved that it had chalkboard on it already. You fancied it up really nice. Great job Linda! Thank you Florence! It was a pretty easy makeover, and I do love easy.